During the 20th century, the ideas of capitalism and democracy spread among the Western world and – despite the conflicting ideologies – eventually reached the “not so far” East. The two concepts are thickly intertwined and, in the common imaginary, they are often associated. This mistake is encouraged by the tendency to correlate the spread of the capitalist paradigm to the promulgation of democratic ideals. The main difference between democracy and capitalism lies in the very nature of the two concepts: the first is a form of government and a political system, whereas the latter is a form of governance and an economic model. Furthermore, democracy is created by the people for the people, while capitalism is promoted by privates for private and egoistic benefit. 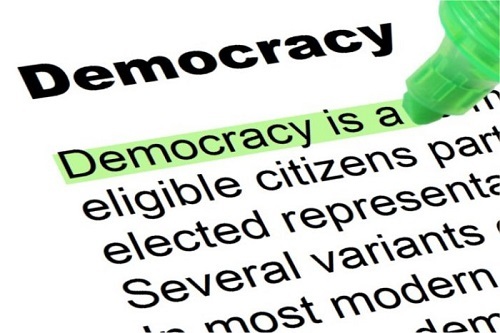 The term democracy – which was first coined in Ancient Greece – is the combination of the words demos (people) and krates (rule). To date, the word has maintained its original meaning of “rule by the people”. As stated by the 16th U.S. President Abraham Lincoln, democracy is the “government of the people, by the people, for the people”. Democracy finds its origins over 2500 years ago, when the city-state of Athens developed a unique form of government as well as a social structure different from the autocratic system of the time. Athens’ experiment consisted in the inclusion of a large number of citizens in the decision-making process and in the creation of the basic regulations of the State. In reality, the Greek model was quite far from the modern concept of democracy: in fact, at the time, only a small minority of citizens was allowed to vote and to take part in the Assembly, while women, slaves, foreigners and freed slaves were excluded. However, the process of inclusion initiated in the acropolis grew to become one of the most common and appreciated forms of government. Particular political, social, and economic circumstances. Public and government combined growth. The Government can be dismissed by the Parliament. The President has the power to veto laws and decrees. People have a strong voice and large influence (frequent referendums). Regardless of the specific type, in democratic countries all citizens are considered equal and have the right to manage their own wealth and property. Furthermore, at a theoretical level at least, the economic profits made by the State should be shared with the people and used to promote the growth of the population and of the State itself. The work of all citizens is directed to the creation of an equal and enjoyable social order, and the Government has the duty to channel the wealth into public services, infrastructures, and institutions. Capitalism is a rather modern concept: it originated at the end of the 18th century, and it became the dominant social and economic thinking of the Western world during the 19th century. The capitalist paradigm has affected and influenced every aspect of our lives, and has had a significant impact on the structure of our societies. In particular, the quick spread of the capital has originated the well-known phenomenon of globalization, and, in many instances, has allowed economic ideals to prevail over political and social values. A powerful ideology built on the principles of individual gains and profits. There is little (if any) State involvement in market exchange and regulation. Capitalism has become the main reality of most countries – both in the West and in the East. The power of the capital has grown so big that the current economic order seems to be the only viable and thinkable option for production and exchange. Moreover, the increasing influence of the capital over traditional political ideologies is challenging and affecting societies at their very core. Often during history, capitalism and democracy have erroneously been used as synonyms. The free-market paradigm has been associated to the freedom naturally linked to democracy. However, the two concepts are very different. Both democracy and capitalism pervade every aspect of people’s lives, but they do so in very different ways. The concept of democracy has developed over centuries, and has been often linked to economic and social development and freedom. Consequently, as the main pillar of the capitalist paradigm is free-market, it is not surprisingly that the two may be confused. Yet, as we have seen, while democracy is comprehensive, inclusive and generous, capitalism is selfish, egoistic, elitist and exclusive. Democracy and capitalism are the two concepts that better represent Western ideals. Further, when Western countries have campaigned for the spread of democratic values, they have often done so under the banner of the capitalist paradigm, and vice versa. In fact, the economic support of Western countries to developing nations and regions often came (and comes) with strings attached: the promise of democratization. However, even if misconceptions remain widespread, democracy and capitalism – at least their purest forms – are substantially different. The most striking discrepancy is the degree of inclusiveness. As we have seen, even if capitalism promises economic growth, and increased wealth and opportunities, it often exacerbates social divides and aggravates economic inequalities. Conversely, the purest democratic principles advocate for the realization of inclusive and equal societies, and for the election of a government created by the people for the people. To date, there is no pure and perfect democracy around the world; on the contrary, the democratic paradigm is often challenged, interlinked with and overstepped by the power of the capital. However, from a theoretical perspective, democracy and capitalism have little in common. Giulia Squadrin. "Difference Between Capitalism and Democracy." DifferenceBetween.net. July 18, 2017 < http://www.differencebetween.net/miscellaneous/politics/difference-between-capitalism-and-democracy/ >.